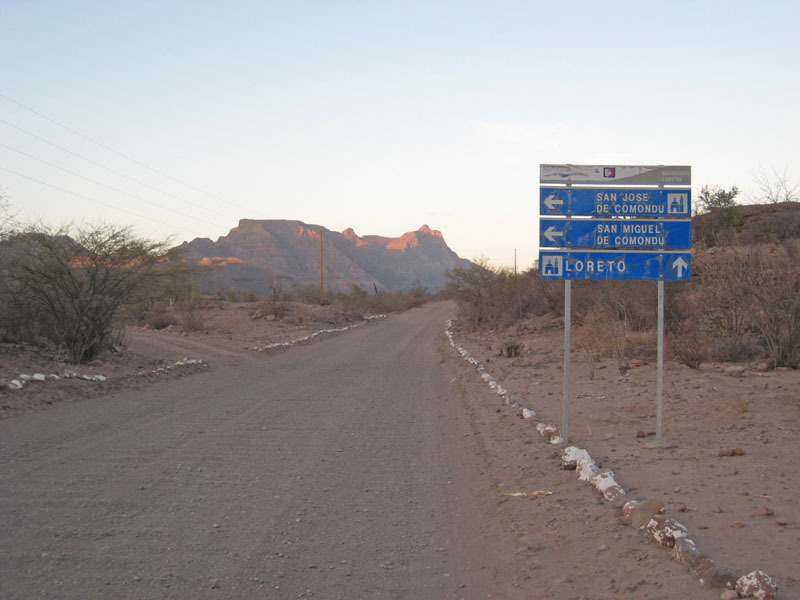 The dirt road from San Javier to Loreto. Turn west here and head to the Pacific coast. We were going to go this way but decided it was too wet and cold right now so stayed on the east coast.